Well it's been a long while between drinks, but we've finally convinced another staffer to step into the spotlight for our 'regular' staff profiles. 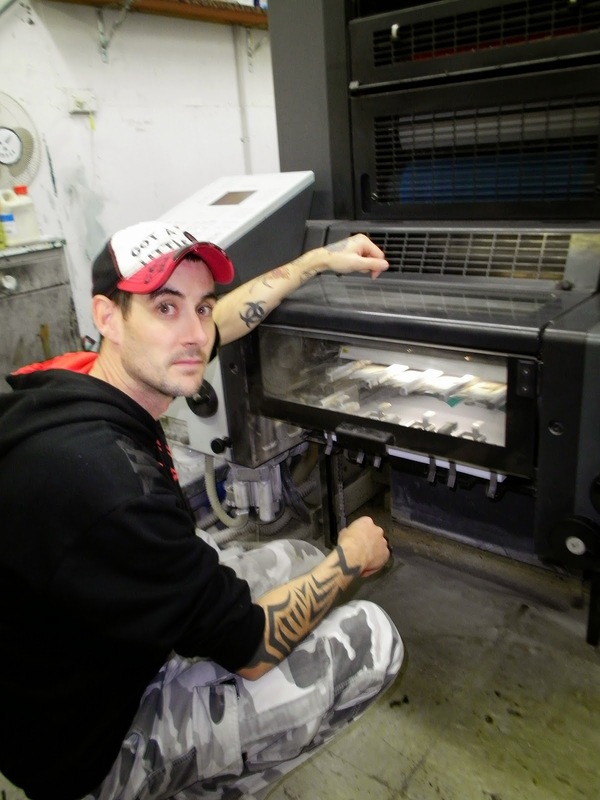 This edition we meet 29-year-old printing machinist Jason Harding. Jason has been a printer at Willprint for almost 10 years - he not only likes putting ink on paper, but on his skin, too! "I'm married with three sons. We have one dog, called Basil, and 10 coldwater fish." "Body art... love a tattoo or two." If you could be famous for anything, what would it be? "Motorsport - I've tried it, but my dreams didn't match my skills!" If I gave you a hundred bucks right now, what would you buy with it? If you retired today, what would you be doing tomorrow? "Whatever my wife asks me to." "My seventh birthday at Creswick Dinosaur Park." "Meatlovers pizza - ham, bacon, beef, salami, say no more!" "Killing in the Name of, by Rage Against the Machine."